By Jonathan A. Lesser, Ph.D. I was asked by Vermont’s Ethan Allen Institute to prepare an economic analysis of The ESSEX Plan, the most recent carbon tax proposal for Vermont. I’m quite familiar with Vermont, having lived there for 14 years and because I served as Director of Planning at the Vermont Department of Public Service during Gov. Douglas’s administration. The Plan will provide an economic incentive for Vermonters to avoid paying the tax by purchasing fossil fuels from outside the state; the higher the carbon tax, the greater will be that incentive. Preventing such behavior will either be impossible or administratively costly. Such “free-riding” behavior will also inequitably transfer monies from Vermonters who do pay the tax to those who do not. 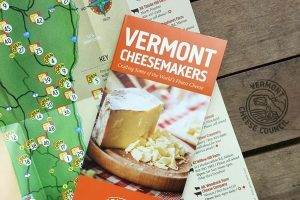 The Plan will reduce Vermont’s economic competitiveness by increasing the cost to produce goods and services, including Vermont’s famous maple syrup. Many Vermonters will be unable to afford the capital investments necessary to reduce their carbon tax payments. Electric rates will increase under the Plan, not decrease. Rebates on current electricity rates will not compensate for the Plan’s call for increased reliance on high-cost, locally-sourced renewable biofuels and solar power. The Plan will cause the cost of biofuels to increase because the demand for biofuels will increase as a consequence of the tax, harming lower-income Vermonters who rely on wood to heat their homes. local utility infrastructure. Increased reliance on solar power will also mean having to pay the costs for more back-up generation and storage, which will cause electric rates to increase further. The Plan is likely to adversely affect funding to maintain Vermont’s aging transportation infrastructure, which is already underfunded. To compensate, the state will likely have to increase taxes on motor fuel, levy a tax on miles driven, or raise the state’s income tax. Alternatively, revenues raised by the carbon tax would have to be diverted from the proposed electric rebates, contrary to the Plan’s promise of revenue neutrality. The Plan will be complex and costly to administer. Retailers will have no way of distinguishing the sales to residential, commercial, and industrial customers, and the Plan is silent on how the amount of money to be rebated to electric ratepayers will be determined. Administering the Plan will require providing the state’s electric utilities with Vermonters’ confidential taxpayer information. Connecticut estimated a similar carbon tax program would have a five percent administrative burden , meaning that the administrative costs could total $12 million per year. The Plan may increase local air pollution as more Vermonters switch to wood-burning to avoid burning natural gas and fuel oil. The Plan’s rationale, reducing carbon emissions, will provide no climate benefits whatsoever because the predicted reductions in carbon emissions will have no measurable impact on climate. Nor will the Plan encourage other states or nations to enact their own carbon tax measures. As a onetime Vermonter who was deeply involved in the state’s energy planning, I conclude that the ESSEX Plan is premised on vague and incorrect economic assumptions. Enacting it will damage Vermont’s economy, place an undue and unfair burden on lower-income Vermonters and encourage more people to leave Vermont in search of better economic opportunity. Jonathan A. Lesser is president of Continental Economics. He is a former policy director for the Vermont Department of Public Service. Senator Bray of Vermont does not get it. He announced he wants to eliminate the sales tax on the first $30,000 cost of buying an EV. He wants to SHIFT the burden of sales taxes from a few upscale-income buyers of electric vehicles onto all other taxpayers. That means upscale-income people benefit at the expense of others. This means 1) an $1800 saving for the upscale-income buyers, 2) the state having less revenue and 3) the state having bigger CHRONIC deficits, and 4) other taxpayers paying more. There is no free lunch, except in LaLaLand. Legislators like Bray have been giving away the store to please RE constituents for at least a decade. Did Vermont’s annual CO2 decrease due to all these RE giveaways these last 10 years? No! Throw more money at it? Oh yes, says Bray and other legislators. All the hyping about reducing CO2 to save the world was just to bamboozle the long-suffering Vermonters. Legislators sponsoring carbon taxes likely have near-zero experience designing energy systems and the economic impacts of their mandates. About 25 Democrat legislators just get on the carbon tax bandwagon with their Essex Plan and rah-rah along. – Legislators and Vermonters have no idea how much has been given away in terms of tax credits, subsidies, accelerated write offs, surcharges and fees by various energy bills and mandates over the years. – No rational central accounting exists. The numbers are all spread over the place, likely on purpose. – Almost nothing it properly vetted and exposed to the public. 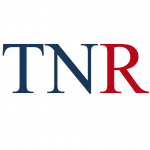 – The state auditor likely knows about some of it, but apparently ignores it. 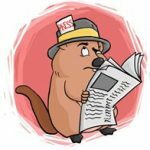 The RE shenanigan factor is much bigger than the $200 million EB-5 fraud (the largest ever in the US), and $200 million healthcare website fiascos. When recurring revenue gaps occur, legislators and bureaucrats pretend to have not a clue as to how that came about. A unilateral carbon tax, $240 to $300 million PER YEAR, would further aggrandize state government, would raise the ante of foolish spending by about a factor of 3 – 4, and increase social discord. 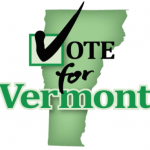 – Vermont having a bloated, inefficient government that suffocates the private sector. These follies have become an increasing headwind that further reduces the near-zero, real-growth of the anemic Vermont economy. A wise person would advocate putting the horse before the car, i.e., first use less energy, then build-out the much lesser capacity systems needed for the energy still being used. This is so simple. Most people get it, but most pro-carbon tax folks do not. Pro-carbon tax folks want to have the unilateral carbon tax now, so the state government would set up various programs, and folks would have to go through various hurdles to qualify to get some of their money back; most folks would never qualify. Here is one way the money would be used. Various subsidies would be used to finance high-efficiency duplex mobile home communities in Vermont’s Northeast Kingdom, with solar panels on the roofs and batteries on the wall, and efficient appliances and lighting, and heat pumps. It would be part of GMP’s expensive “islanding/microgrid” fantasy. Here are examples of such a state-subsidized boondoggles. Who pays for all the subsidies? Who pays the resulting higher prices for goods and services? Answer: Those who will pay the carbon taxes, and other taxes, surcharges and fees. Anytime a politician says he going to extort a tax from you and “give it all back”, he means give some of it to back you, but most of it to his favorite constituents who voted for him. Efficiency Vermont is a notoriously wasteful, quasi-government program, audited on a cozy basis, by the PUC. EV, financed with an onerous, ever-increasing, $65 million surcharge on electric bills, is a perfect example of taxing the many and giving to the few who are “deserving”, i.e., willing to do things the expensive EV way to get some money back. In the meantime, Vermont ranks 48th on business climate, per Forbes. A unilateral carbon tax, and more government-directed, socialist-style redistribution programs will make it even worse. State-directed, socialist-style economics was practiced in the USSR and Cuba. We all know how that worked out.